Belle Vue National Historic Site sits facing the Detroit River just south of downtown Amherstburg. For 200 years, it has stood majestically as a reminder of a town and nation rebuilding after the War of 1812. Built between 1816-1819 by Robert Reynolds, the Deputy Assistant Commissary General at Fort Malden, it was also the home of his sisters, Margaret and Catherine Reynolds, whose landscape paintings provide an invaluable record of early 19th century life in Upper Canada. Their works hang in the Detroit Institute of Arts, the Windsor Community Museum, Fort Malden NHSC, and Library and Archives Canada. After the Reynolds family, the house was updated by three other families. William Johnston added two bay window areas for more living space. Perry Leighton, known as an antiquarian, used one of the newer wings as a personal museum. The John G. Mullen family spent three years restoring the building back to the original style of the house. During its history, Belle Vue served as a convalescent hospital for veterans who served in WWI and later housed the St. Nicholas Ukrainian Catholic Church providing a connection to the community. Belle Vue was designated a national historic site in 1959. It is one of only two buildings in Canada designated for Palladian style architecture. The property was recognized by the Provincial (1984) and Municipal (1988) governments for historical importance and for the Reynolds family’s contributions. Belle Vue has been unoccupied since 2001 and placed on the Top Ten Endangered Places List by Heritage Canada Foundation in 2009. 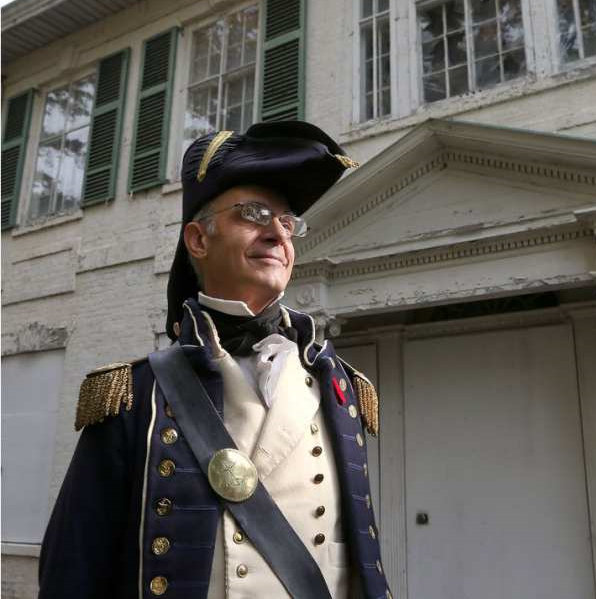 Thanks to lobbying by citizens and the vision of the administration of the Town of Amherstburg, Belle Vue will continue to stand as a reminder of our origins and of the people who had the courage, fortitude and vision to remain strong in the face of adversity. 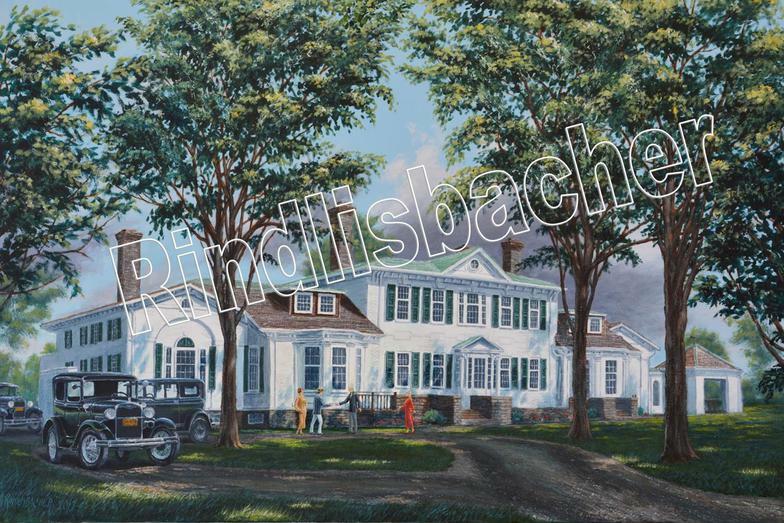 "This painting was donated by the artist to aid the Amherstburg-based Belle Vue Conservancy in their efforts to restore the building and grounds to the appearance shown in this image. Its present Colonial Revival look was established by John C Mullen. in the summer of 1928, with several Model-A Fords in view." until it can be permanently hung in the house itself. Artist giclees and/or prints are given as a thank you for monetary donations to aid in the restoration efforts. See "How Can I Help" for more information. Unframed, signed and numbered 14”x20” prints are available for purchase at a cost of $100. Unframed 20”x 28”giclees ( reproduction on canvas with artists authentication ) are at a cost of $350 . 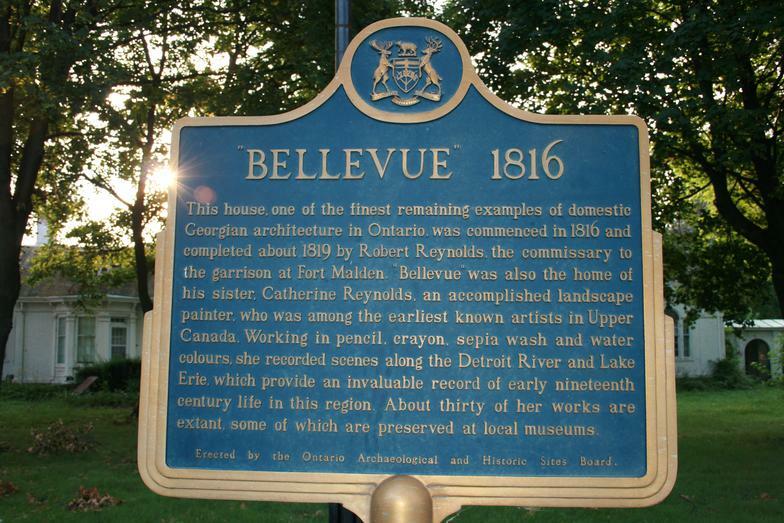 Belle Vue National Historic Site inspires future generations by connecting people, preserving national heritage and fueling the creative vitality of our communities! To learn more about Peter, click his image.